The following Internet directories or portals specialize in antique, vintage and/or classic cars, trucks and related vehicles, products and services. This is a small sample of the millions of online directories and portals but they are unique in their focus on antique, vintage and classic rather than new vehicles. These directories will offer you links to the stores that actually have the type of item you are looking for sale. Please look in our index for additional links in other categories that may also be of interest..
Like AntiqueCar.com, the following resources are portals into the world of products and services relating to brass, antique, vintage and classic cars, hot rods, muscle cars, trucks and vans, motorcycles, motor homes and trailers. If you have a concern or comment about a listing please contact our webmaster@antiquecar.com. https://www.autovolo.co.uk/Autovolo is a British company that offers a unique approach to selling cars online. When somebody advertises with them, they share their advert on their social media to millions of potential buyers that are currently in the market for a new car. And on top of that, to more than 7000 dealers nationwide that want to buy cars instantly. https://cars.askalo.com/: The Askalo car directory is a new classifieds search engine that publishes vehicles for sale. Askalo cooperates with multiple dealerships across the globe and provides constantly updated, high quality listings. Askalo car directory offers you a reliable tool to make successful purchases. http://www.autozin.com: Automotive classifieds is a site where you can buy & sell without any fees, completely free. Autozin covers most of United States and has the ability to narrow your results from the whole country to a specific zip code. They aggregate listings from thousands of dealerships which makes it easy to find the right vehicle in the shortest time. http://auto-archives.org: The Auto-Archives Automotive & Motor Sport Library and Research Center, is a 501(c)3 not-for-profit organization. The mission of the archive is to preserve and document the rich history of the automobile, and provide both a physical and virtual resource for the study of the past, present, and future of the automobile, in all its forms. Visit us at auto-archives.org. http://sleemansclassiccars.com/: Sleeman's Classic Cars offers listings for antique, vintage and classic cars and trucks as well as hot rods, muscle cars and other exotic vehicles. They only deal with vehicles located in Michigan and all of their vehicles have been inspected by a licensed mechanic. Sleemans pride themselves on being knowledgeable about every car they sell but they will also connect you with the owner if you want more information and/or a test drive..
http://www.corvettetraderonline.com/: Corvette Trader Online only lists used Chevrolet Corvettes. Their website gets thousands of hits a day and they work the social network scene. They specialize in everything Corvette and have an online store with over 15,000 related items for sale that range from T-shirts to collectables. http://www.Zillionparts.com/: Zillion Parts is an online marketplace for buying and selling used parts for cars, trucks, construction equipment and farm equipment. They also have a &qwuot;Wanted" section and all listings are free. http://www.japanautopages.com/: Japan Auto Pages is a comprehensive directory of Japanese Used cars, trucks, buses, construction equipment and parts. It also lists Japanese importers, and exporters and auction agents. http://www.autofinder.com/: Auto Finder is a portal for new and used cars and offers a variety of related information about insurance, financing, buying, test driving and negotiating. 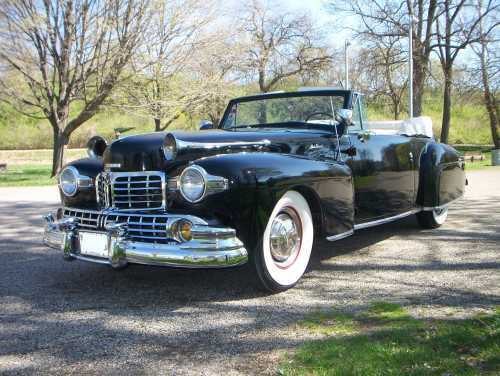 They list hundreds of vehicles but very few are from the antique, vintage or classic car eras.